Cigamea Curug is one of the most beautiful waterfalls we have ever encountered. Simply pay an entrance fee of Rp. 2000/person (US $0.2) we immediately traced the path of compact stone. Through the stairs and winding road and cool landscape, we enjoyed this trip. 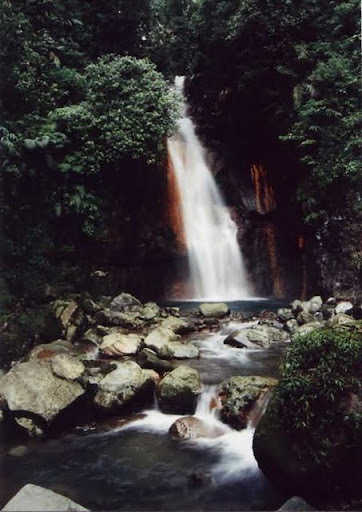 During the trip there is a mini waterfall that is very unique with the height of 5 meters and there are also small shops provide a variety of warm drinks like, ginger, orange juice, coffee milk, and hot tea. 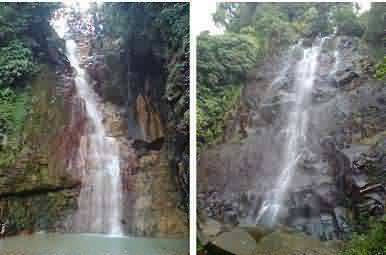 There are actually two waterfalls at the location of Curug Cigamea. The first waterfall we encountered was the waterfall with steep cliffs and covered with bushy trees near the entrance. 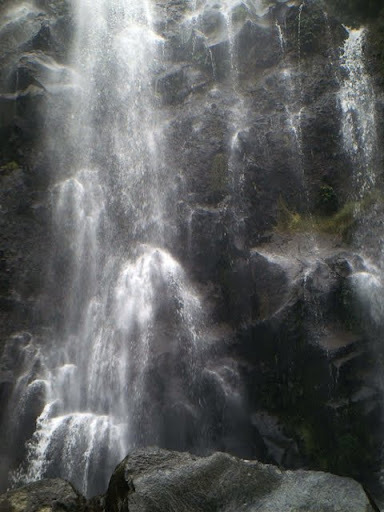 By walking about 30 yards from the first waterfall, we arrived at a waterfall with a height of 50 meters with a flow of water down the wider cut cliff rocks and brownish-black water spill quite heavy. Unfortunately, on that day the weather was not friendly, quite heavy rain and wind, forced us to settle for watching the waterfall without being able to feel the comfort of swimming in a waterfall spills. Usually, a lot of visitors swim here if it did not rain. However, even in the heavy rain we still can feel the pleasure and beauty around the location of these waterfalls. Imagine, at the sight that is a natural phenomenon rarely found, supported by an atmosphere of soothing natural shade, it is an unforgettable memory. 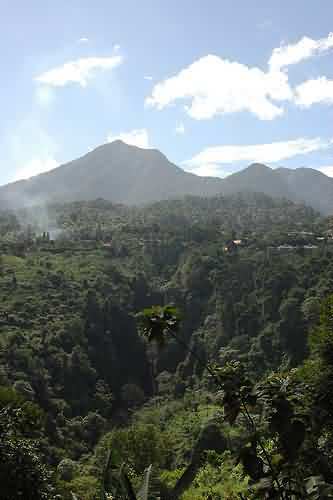 Curug Cigamea, is the place you need to consider next time you and your family want to spend the weekend on amazing places.